When considering your company’s impact on the environment, it is crucial to understand your company’s waste stream. A waste stream is the entire lifecycle of specific waste output, from the moment it enters a facility to its eventual recovery, recycling, or disposal. By tracking your waste stream and its associated costs, you can begin to understand its value - and how to leverage it for savings and sustainability. According to the European Parliament, waste streams can be broadly divided into two main categories: material-related streams and product-related streams. Material-related streams include metals, glass, paper, cardboard, plastics, wood, rubber, textiles and biowaste. In contrast, product-related streams include packaging, electronic waste, batteries, end-of-life vehicles, mining and construction waste. In the restaurant and grocery industry, categories in the waste stream include things like food waste, FOGs, cardboard and plastic. When considering how to determine the value of different waste streams, you should consider the source of waste and its uses, applicable recovery and recycling methodology, and any specific opportunities or challenges related to recycling. To take this first step in finding the value of these waste streams, start by performing a waste-stream audit to understand the quantities and types of waste generated and identify areas for waste reduction, diversion, and recycling. This planning helps you to assess the potential costs and savings that come with implementing a waste management plan. For a firm to measure wasted resources, it takes a concerted effort to track inputs versus outputs of all types of resources. It also requires auditing how much waste is produced, what types of waste are produced, how that waste is removed from facilities, and the cost of that removal. The hard costs associated with the entire lifecycle of materials or products is the first measure to use when measuring the value of waste. And the costs can be staggering: according to the U.S. Chamber of Commerce Foundation industries waste an average of 7.81 metric tons of materials for every million dollars of revenue. In the restaurant and grocery business, where waste usually means product - and profit - loss, this is especially problematic. According to The Roadmap, the US currently spends $218 billion in growing, processing, transporting and disposing of uneaten food - to the tune of about $680 billion when you add in the potential sales and hard costs of the product. This large amount of food waste presents a unique opportunity to create change for the consumer, the company and the environment at large. Since this waste is so valuable, companies should consider preventative measures in order to reduce waste, both for the environment and for their bottom line. While there is a cost for implementing a food waste reduction program, it has large benefits as well. An analysis from The Roadmap states that “for every dollar invested in food waste reduction, restaurants can realize approximately $8 of cost savings.” This impressive cost-to-benefit ratio supports the theory that putting in money to minimize the volume of your food waste stream can actually result in major savings for your company. Sustainability is now moving beyond just reducing waste, too. 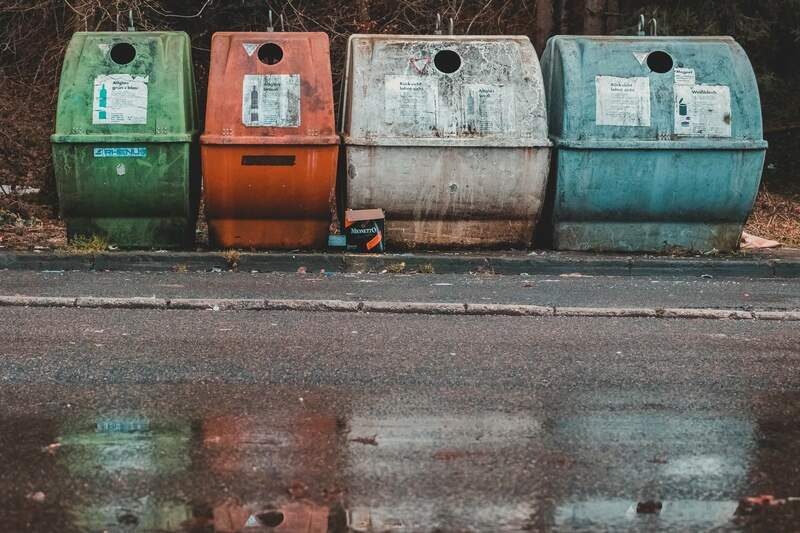 According to this piece from the Wharton School, waste streams can be turned into value streams by adhering to the principals of the circular economy. According to this holistic approach, there is no such thing as “waste” - what one organism creates as waste becomes another organism’s nutrients (also known as “one man’s trash is another man’s treasure,” in layman’s terms). Scholars suggest that the concept of waste can change when you begin to view non-useful manufactured goods as “nutrients” to help feed further production. These assets are then conserved as a product’s lifespan is extended and new products are created from the remains of old ones. Since recycling used products only salvages a small fraction of the product, the circular economy theory preserves more value than traditional recycling methods. When you begin to look at waste as an asset, not just as discarded goods destined for a landfill, you can then begin to derive value from the stream. Value is lost when waste is treated without thought - so whether you choose to reduce or reuse, you’ll find that leveraging your waste stream is the key to increased savings and sustainability.